Adapt to new regulations and integrate new services on your own terms. Provide customized and timely information to improve patient care and education. Speed up approvals and authorizations for critical medical care. We have strengthened the Clinical Trials Management System for a cancer-fighting biopharmaceutical corporation, rejuvenated client-facing services for prominent research organizations, provided managed services for healthcare providers, and assisted clients with services related to the adoption of HIPAA-compliant environments. We have worked extensively with HL7 standards, FHIR standards, and HIPAA standards. We emphasize API and microservices strategies that eliminate manual processes and smooth the transmission of health information between care organizations. We also offer strong support in business rules and process improvement, so we are able to increase client agility in response to external changes—particularly those sparked by compliance rules and legislation. Our experts regularly address a multitude of healthcare challenges, including preventative care, risk assessments, claim tracking, remittance management, managed care, and call center applications. In sum, our intelligent solutions have saved millions of dollars and touched millions of lives. Vizuri's 2018 Snapshot survey of healthcare IT leaders offers insights into the challenges and opportunities they face in the coming year. 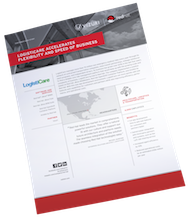 Vizuri worked with LogistiCare to improve flexibility and accelerate speed of business. Healthcare APIs have the potential to modernize the way providers, patients, payers, and other stakeholders interact with and use data. Schedule a consultation by clicking the button below.